Do you own a small business or veterinary clinic and would like to offer Sore No-More to your customers? We would love supporting small businesses and would love to have you as part of Team Arenus! Visit the link below and complete the easy, online application. Once received, your application will be reviewed and, typically, approved within one business day. 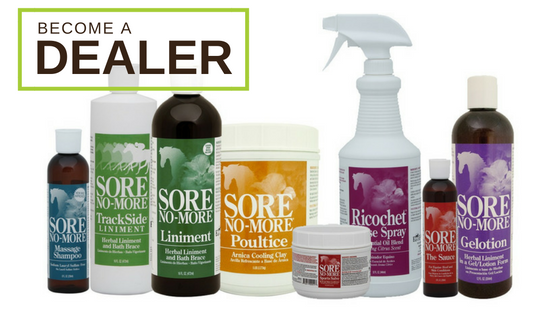 Once approved, you'll be able to place your first order as a Sore No-More dealer!